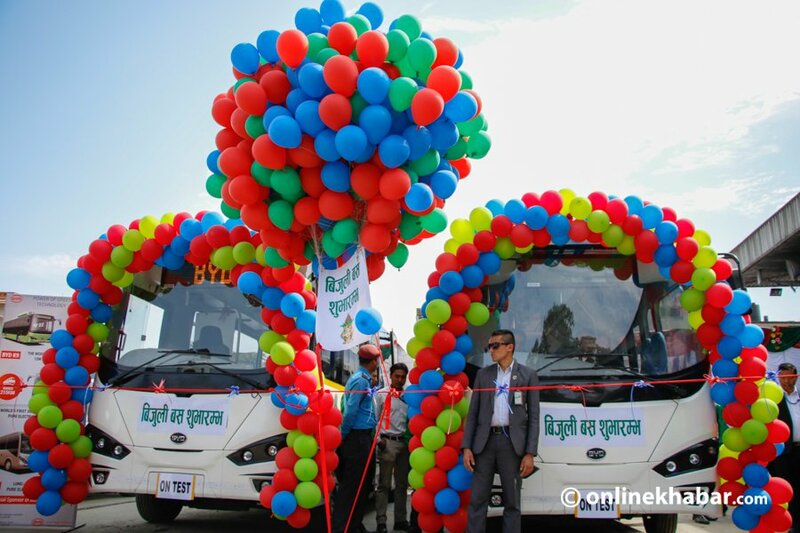 It has been one and half months since the government formally decided to operate as many as 300 electric buses in the country from the New Year of Bikram Sambat calendar (mid-April) in its bid to promote green energy. However, no progress has been made in past weeks except obtaining the approval from the Cabinet; and the decision has been pushed into limbo. Sources at the Ministry of Physical Infrastructure and Transport say the Ministry is yet to make any decision on specifications of the bus. Therefore, they say the decision cannot be implemented from the New Year. Spokesperson of the Ministry, Shiva Hari Sapkota, however, says discussions are underway about the issue and the government is eager to launch the operation soon. The Ministry had planned to form a technical committee to deal with technical aspects of the purchase. However, it is not certain when it will form the committee and when it will submit its report. After finalising the procurement process, it will take at least three more months to call for tenders and select the seller. The only way that can allow the government to buy the buses early is making a government-to-government deal with a country. However, officials have not made any preparation for it. Further, there is not any charging station in the capital city and other places of the country.